Panaji: A woman was detained at the Goa airport Monday for illegally carrying gold paste worth over Rs 18 lakh, a senior Customs official said. The woman, a foreign national whose identity and nationality were not disclosed, had kept the yellow metal hidden in a pocket of her pants, Customs Commissioner R Manohar said. 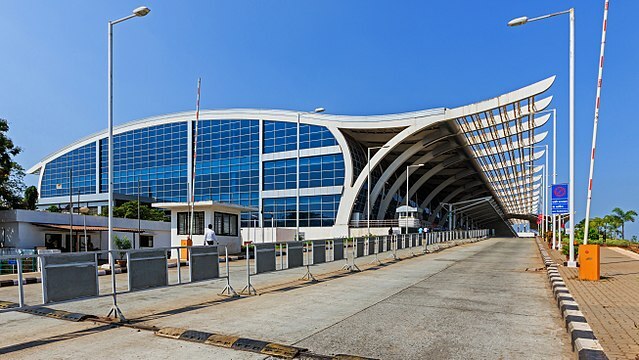 Based on intelligence inputs, Customs officials apprehended the woman after she arrived at the Dabolim International Airport here from Dubai in an Air India flight. During her personal search, the officials seized 590 gm of semi-solid gold, valued at Rs 18.08 lakh, the official said. “The gold paste was kept in a transparent polythene packet concealed in a pocket specially created for the purpose in her jeans around the waist band,” he said. Since April last year, the Goa Customs officials have seized gold worth Rs 236.5 lakh and foreign currencies with a face value to Rs 67.5 lakh from international passengers at the Dabolim airport, he added.